The Civil Administration Higher Planning Committee is slated to meet next week and give final approval to nearly 4,000 new housing units across Judea and Samaria, including the first new construction in the Jewish community in Hevron in some four decades. On Sunday night, Channel 2 reported that the Netanyahu government has okayed the move, following delays by the Higher Planning Committee, which had originally been scheduled to approve the projects in September. The new wave of construction, totaling 3,829 homes, includes building in communities outside of the so-called “major settlement blocs”, a significant shift from the limits imposed on projects approved during the Obama administration. Along with larger ‘consensus’ towns such as Ariel and Givat Zeev, the new construction wave includes units in Beit El, Tzofim, Rehalim, Nogohot, Hevron, Tekoa, Kfar Etzion, Avnei Hefetz, Nofim, Kochav Yaakov, Har Bracha, and Maaleh Michmash [Michmas]. According to a government official who spoke with Yediot Ahronot on Sunday, next week’s planned approval for the projects signals the end of the Obama-era condemnations of Israeli housing projects. The official added that Israel has established an unofficial understanding with the Trump administration regarding construction in Judea and Samaria, whereby Israel will build outside of the larger “settlement blocs”, but will limit announcements of large housing projects to once every few months. For its part, the Trump administration has pledged not to issue condemnations of Israeli housing projects in Judea and Samaria. "There was a long dry period during the Obama era, and we were hit with condemnations for every construction in the settlement," the official said. 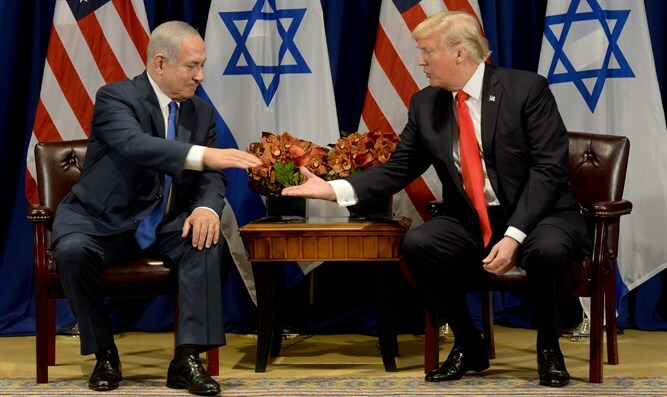 "After Trump came into office, Israel and the new American administration set clear criteria for construction that the Americans were not opposed to, such as canceling the distinction between settlement blocs and isolated settlements. In addition, it was made clear that the Americans no longer consider the settlements an obstacle to peace."